This entry was posted in Competitive Shooting and tagged accurate shooting, bullet velocity, handloading, muzzle velocity, new barrels, new gun barrels, reloading, shooting accuracy, velocity. Bookmark the permalink. Seen it too many times to count. 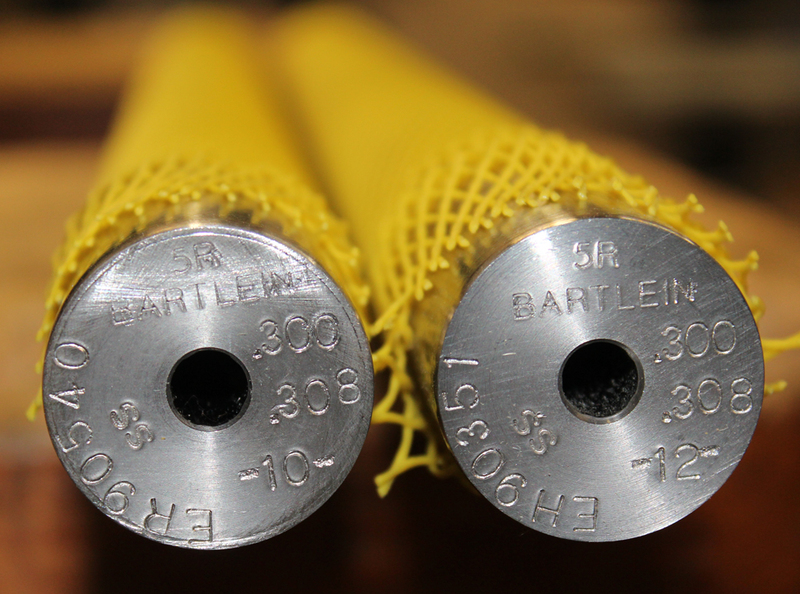 All my match barrels get a “generic round” loaded for them, which has worked well in barrels historically. After I hit 150 rounds I fine tune the load and never look back, until the tube starts to slow down at it’s life end. Alex Lipworth and I documented this phenomena about four years ago and I have told all my customer’s and shooters about this. My son Mikee would shoot 100 roinds through all new barrels we planned on shooting before we would begin to do load development. We had a shooting snail that caught all the bullets set up in front of an indoor bench. We called it a wear in process because upon careful examination of the bore when the “Speed Up” takes place the cut rifled bore resembles that more of a button rifled barrels with the lands taking on more the softer look of a buttoned bore. would this same phenomena apply to re-chambered barrels? Use David Tubbs’ treated bullets, save time & money with WAY better results!! I finally have a good use for that cheap steel cased ammo!! Didn’t people use to put lapping compound on bullets to achieve something like this?